NeuroLogic® equips individuals and organizations with practical strategies for working with all youth, especially those impacted by trauma, by educating and training teachers and care-providers through various formats. Our goal is to equip you and your organization with the best brain-based strategies to help your students and youth reach their fullest potential. Our standard training package provides opportunities for initial training and ongoing support. We believe that true change takes time, and we would love to partner with you and your organization to make that change possible. We’re standing by to provide training for your school or organization. Get in touch with us to find out how we can help your staff become more effective in the classroom! Josh began his Lakeside career as a teacher where he quickly began adapting trauma-informed strategies into his classroom. He realized how important this approach was, and saw amazing improvements in his students. 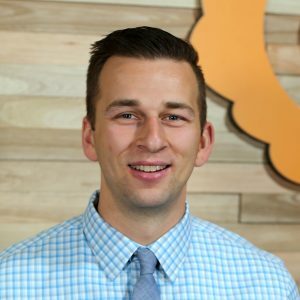 Because of Josh’s success both in his classroom and in communicating trauma-informed educational practices, he began to get many requests to consult and train others, which propelled him to become the Director of Lakeside’s NeuroLogic® Initiative. In addition to earning his Masters in Multicultural Education, Josh has completed The Child Trauma Academy’s Neurosequential Model of Education training program. He has presented at regional, state, national and international conferences and now offers training and consultation for schools and individuals throughout the United States and abroad. Josh has written a book filled with activities for classroom teachers that help regulate each level of the brain. Kathy has been working in the field of education for over 35 years as a teacher, counselor, supervisor, and administrator. She currently is Executive Vice President of Lakeside and works part-time as a professor in Eastern University’s graduate counseling psychology department. 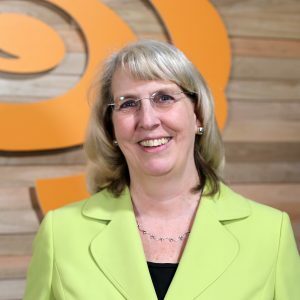 Kathy has been steadfast in her efforts to ensure that NeuroLogic® training is not only informational but provides practical applications that people can implement immediately into their work. In addition to being a Licensed Psychologist and earning her Master’s in Education, Kathy has been trained by the Child Trauma Academy in the Neurosequential Model of both Therapeutics and Education. Kathy has presented in regional, state, national and international conferences. She has been consulting and training school personnel for over 20 years.